Eyelash extensions are a growing trend at spas and salons. "Extensions look beautiful when they're done correctly, and completely eliminate the need for mascara." 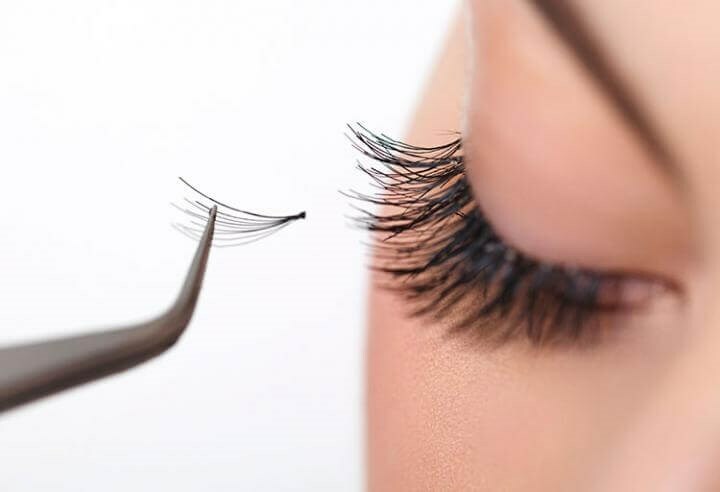 Eyelash extensions are individual lashes, made of a synthetic fiber such as nylon, which a professional glues one by one to each of your individual lashes.Using long, pointed tweezers, your lash technician brushes a single synthetic lash in a dab of adhesive. Then with another pair of tweezers, separates the natural lashes to isolate just one. The synthetic lash is then placed on the natural lash, holding it for a few seconds while the glue bonds. This process is repeated, one lash at a time, attaching 40 to 100 lashes per eye. The tech will use several lengths of lashes, attaching the longest artificial lashes to your longest natural lashes. After discussing your desired look with your lash tech, they will decide the length, thickness, and curl that will leave your with the lashes you've always wanted. Eyelash extensions will last the length of the natural growth cycle of your eyelashes, usually between 4 and 8 weeks. Depending on your activity and day-to-day routine, refills should only be required every 2-4 weeks.